Something isn’t kosher in Burbank. First, huge sums appear, then vanish from a little-used congregational bank account. Next, a body turns up in an unsold cemetery plot. And then the congregation’s beloved secretary is brutally murdered. Enter Rabbi Ben, roving troubleshooter, master of Taekwondo and Talmud, an M.I.T. computer whiz who seemingly walks through walls—and a man with his own bag of secrets. The High Holidays are just around the corner—so what could possibly go wrong? 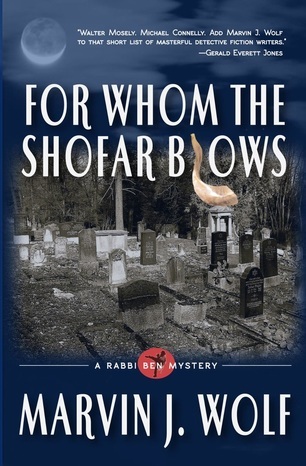 Ben’s investigation leads him to a decrepit cemetery, an opaquely mysterious private bank, a shofar-blowing, part-Korean cabinet-maker, a ruthless gang-banger, and the ultimate in money laundering techniques. Along the way this heroic-but-very human character survives a hit-and-run murder attempt, defuses a bomb in his living room and wriggles out of his intended early grave. This terrific, twisting plot and compelling, finely-drawn characters are accessible to every reader. You don’t have to be Jewish to be enthralled by Rabbi Ben’s audacity, inventiveness and courage. RABBI BEN IS BACK! TWO NEW BOOKS IN THE SERIES AVAILABLE NOW! Missing for more than half a century, a fragment of the world’s oldest Hebrew Bible codex, a unique and priceless religious artifact, surfaces after the death of a reclusive Brooklyn businessman—and is immediately stolen. Hired to find the long-lost pages, Rabbi Ben battles a mysterious gang of thieves who will stop at nothing to get the codex. Immersed in the superstitious and almost medieval society of Syrian Jewish immigrants, Ben unmasks a serial swindler, restores a clan's honor, returns a stolen identity and solves a decades-old series of unsuspected murders. Along the way, he meets the woman of his dreams and then must walk through fire to save her. Arriving in Pittsburgh to participate in a year-long medical trial, Ben soon meets a married couple—a nurse practitioner and her wife, a cop. 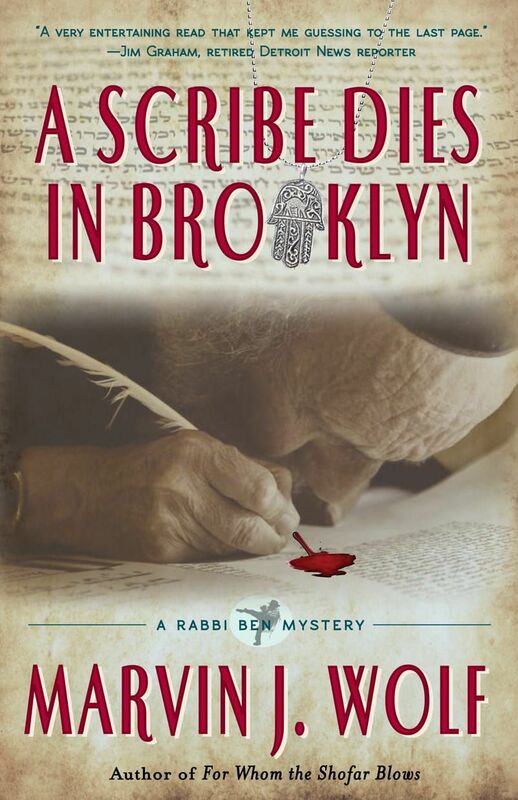 They ask him to help find their missing rabbi, who seems to have overstayed a brief vacation. Prodded by Miryam, his fiancée, Ben reluctantly agrees to help but soon begins to suspect that the man he seeks is neither missing nor a rabbi. Delving deeper, dead bodies begin to pile up as Ben encounters a series of thugs attempting to stop or kill him. His investigation turns into a fiendish hall of funhouse mirrors, where little is what it seems and there is no way out.